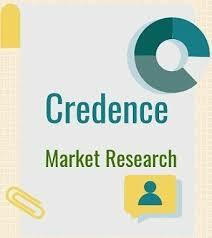 According to a new market research report published by Credence Research “Pet Products Market (By Product Type – Feeding; Bedding; Playing and Chewing Toys; Leashes and Collars; Cages, Crates and Carriers; and Others) – Growth, Future Prospects, Competitive Analysis and Forecast 2017 – 2025”, the global pet products market was valued at US$ 24.82 Bn in 2016 and is expected to grow at a CAGR of 3.3% during the forecast period from 2017 to 2025. Pet products refer to pet accessories such as toys, feeding bowls/trays, leashes, cages, bedding equipment and others. With the growing number pet (cats & dogs) owners worldwide, the demand for related pet products is estimated to remain strong in the following years. Due to continually rising expenditure over pet products, people now prefer purchasing high-tech products that can provide them as well as the pets with optimum convenience. Similarly, steadily growing discretionary of the people worldwide too plays a prominent role in the pet products market growth. Another major factor supporting the market growth is the availability of wide range of products in the market. The availability of variety of styles and designs in the pet products category plays a crucial role in attracting the pet owners. The key players of pet products market include Ancol Pet Products Limited, Beaphar International, Ferplast S.p.A., Rolf C. Hagen, Inc., Rosewood Pet Products, Hartz Mountain Corporation, Larz Dog Products, Planet Dog, Inc., Mammoth Pet Products and RC Pet Products Limited. The pet products market is highly competitive with a number of international and domestic players constituting the market. Due to wide possibilities of product differentiation (primarily in designs), the market has emerged quite competitive in nature. Kommentar hinterlassen on "Pet Products Market To Reach US$ 33.16 Bn By 2025"